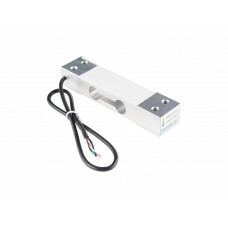 This is a standard load cell for measuring weight upto 3 Kg. The output of the load cell is in mili-volts and cannot be directly measured by a micro-controller. So an ADC with high resolution or an instrumentation amplifier is required to make the output of the load cell readable to a micro-controller.